March marks the beginning of Women’s History Month, a time of commemoration and recognition of the female trailblazers who continue to shape our world. In recent years, efforts have been made to capitalize the remarkable work of women within the tech sector. 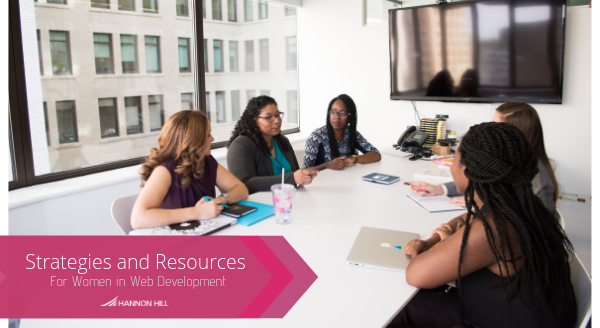 To commemorate Women’s History Month and further assist women in tech, we begin our series of commemorative blog posts to highlight the efforts of women in the technology sector. As women we are mothers, daughters, sisters, and members of the workforce. With multiple roles, how do we reconcile being authentic when there are so many competing factors? Data from Google shows that employees perform better when invited to showcase their whole selves, which fits into the relaxed and authentic culture of tech. A culture of authenticity creates an intertwined area of personality and professionalism. This may be practiced through casual dress or laid back office norms. This culture nurtures the thought that if you allow employees to be authentic to themselves, it increases their work output. Being authentic to yourself involves attaching a deeper value to your personal and professional self. A workplace that nurtures an understanding of individual dimensions allows for employees to possess greater insight into one another. Comprehending the role of each individual employee, both within and beyond the workplace, dissolves gender-biased tension. Authenticity at its core is the valor to be flawed and vulnerable. There is no simple method to become a female web developer without authenticity. Innovative tech-moms have revolutionized the approach to tech through an integration of maternal insight -- these women have proven tech is far beyond stereotypes. MotherCoders is an organization that seeks to teach new moms how to code and gain new knowledge and skills to apply within the digital world. The organization was created to catalyze social change by providing opportunities to train women and increase female employment in tech. Data collected by the UN shows that empowered women reinvest in their families and communities by 90%. Organizations that seek to guide women into the realm of integrated technology are preparing an exciting future for the next generation to prosper. Going back to authenticity, it is very hard for women to focus on their work if they feel unable to express their new identity as a working mother. There is no longer a traditional definition of what tech moms are supposed to be like. Working moms may flourish in the field of tech for the boundaries are ceasing to exist as the field progresses. MomsinTech is a community group where working moms in the realm of technology are able swap helpful tips such as childcare, tech maneuvers, and support. Women are not solely responsible to solve gender inequality in tech. There are so many articles and navigational “how-to” tactics, citing women as the sole provider for solutions. For centuries, women have entered, and mastered, professional male-dominated networks. At this stage, we are no longer required to provide answers and strategies to steer our path in the workplace. If technology wants to advance with innovative and divergent solutions, they need to employ innovative and divergent strategies to nurture a diverse environment of equality. We have reached the point where we know women belong in tech. To continue making strides, the tech field is progressing to employ strategies to promote and maintain female employment within the sector. At a moment in time which movements such as #MeToo and HeforShe have sparked gender equality as an international conversation, with companies and organizations improving efforts to integrate and empower women. In the tech sector, research shows that work environments with a higher percentage of women employees, particularly in leadership positions, have a greater output of innovation and enterprise.